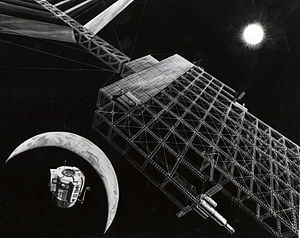 Mankins explains how the space panels would work, “After the system effectively transforms the solar energy into microwaves, its Earth-facing side would then transmit the low intensity, low frequency waves toward Earth.” The beam of solar energy would travel through space to a target on the ground where there would be antennas within a six square mile area, putting the power through transformers in power plants. Power stations would transfer the solar rays into usable electricity. The space solar panels are based on nature, the flower, which uses its pedals to collect solar energy. The mirrors of the solar compound would act as petals, directing solar power to the system’s photovoltaic modules (solar panels), which are composed of many PV cells, like the cells of the pedal. The panels would work like the solar panels on the ground, but would be suspended in space! The transmission of energy to Earth would have very little environmental impact, making it a major factor in lowering greenhouse gases in our atmosphere. The solar platforms would be built by sending already assembled solar panels into space and putting them together by robots. (Yes, bringing robots into the mix does sound like science fiction, but we do have the technology to carry it out!) Reportedly, the construction and transportation of the stations would be less expensive than constructing the solar farms on Earth. The sun produces a trillion times more energy than we need here on Earth. The longevity of the sun, 4 to 5 billion years, would provide our planet with an endless amount of power, making it our largest source of energy and would supply all our planet’s needs! Beam that solar energy on down! Wow, sounds like something out of Star Wars. This is exciting and very hopeful for our planet. I say “what are we waiting for?” Thanks for keeping up with this blog. I feel like because of this, I am learning more about our environment than I expected. Great information for all. Reblogged this on My Planet Earth.